Mobile users looking to beat the high cost of phone calls will soon have another weapon at their disposal. This summer, developer Pinger is planning an update to its Textfree Unlimited app that will add free voice services over 3G and Wi-Fi. Textfree Unlimited already lets users avoid SMS charges—or, in the case of iPod touch users, add messaging capabilities—by sending text messages over the Internet. 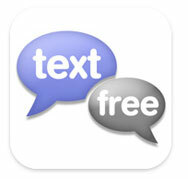 Last week, Pinger removed the app’s price tag; instead of $6, Textfree Unlimited is now a free download. That sets the stage for this summer’s update, which will extend Textfree’s feature set to include calling features. Appropriately, that will also usher in a new name—Textfree with Voice. According to a Pinger representative, Textfree with Voice will provide users with a second phone number. Friends will be able to call and text that number free of charge. iPod touch users will be able to use the calling features as well, though only when they’re connected to Wi-Fi. Because of policy changes earlier this year that allow VoIP apps to work over AT&T’s network, iPhone users will be able to call and text over 3G as well as Wi-Fi. Textfree with Voice will join a growing of apps that offer calling features over a network connection—most notably Skype, which just added 3G support in its version 2.0 release. However, only Skype-to-Skype calling over 3G is currently free, and that’s expected to change in August when the company starts charging a small monthly fee. In contrast, Pinger says that Textfree users will be able to call anyone for free whether they use the app or not. The service will be supported by ads. Textfree Unlimited is currently at version 3.4; the calling features will be added in a free update.